For one reason or another, this pastry pudding is a little more sentimental than most. Perhaps it’s an age thing. The passing -down-of-family-heirlooms thing. A quarter-life crisis thing? Most definitely. Either way it’s an emotional thing. So as I’m sat here digesting – quite literally – the events of the past week, while eating even more – obviously - here’s a snippet of recent internal running commentary. To quell the ever-persistent existential crisis that pokes it’s ugly head out at every significant event, fill your life with good people. Paintballing does hurt and anyone who tells you otherwise is lying. It’s also an epic quad workout and one hell of a fun day out. Life is too short not to eat whatever the hell you want [cake] for your birthday breakfast, lunch, and dinner [and any other random day of the year that tickles your fancy]. To keep your self surrounded by good people, feed them. Time flies – even when you’re not having fun – tell your people that you love them. Bestover Berry Lemon Curd Pastry Pudding is a mouthful of a name. It also makes for excellent post paintballing fuel. In conclusion, keep the people who surround you when you need them most, well bruised and fed. And your Birthdays will be better for it. But back to the heart of the matter: my obsession with hoarding food and rescuing leftovers. Today’s pastry bread pudding is a nostalgic one., made from gifted day-old pastries from friends, and a leftover jar of mum’s ultimate Lemon Curd; half of which fueled my favourite paintballing troops this past weekend. 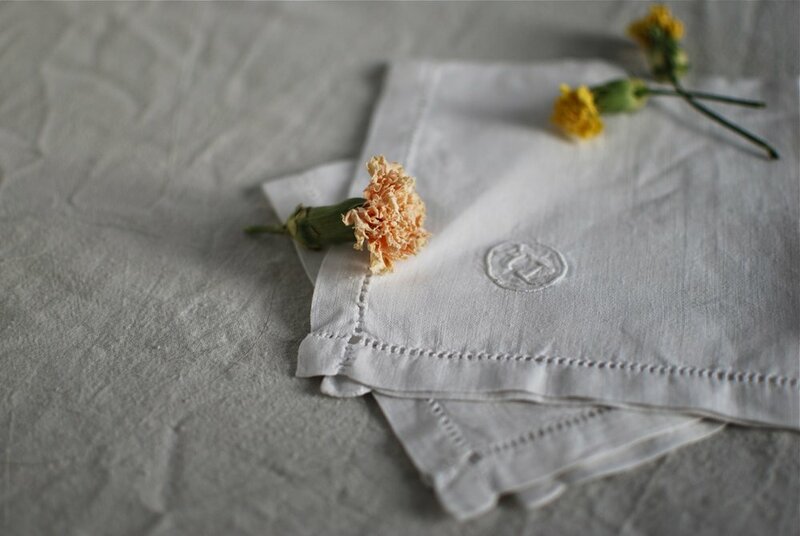 The other, served on Great Grand-Maman’s hand monogrammed handkerchiefs and eaten in my first London flat. So in the off chance you were celebrating a [big] birthday, needing to feed your people, existential-crisising, using up surplus summer berries, or paintballing. Or all of the above. 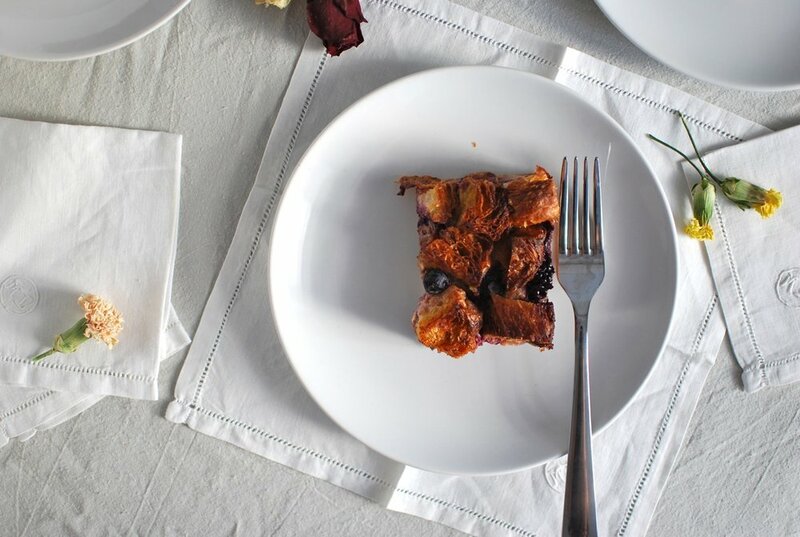 Do yourselves a favour… bread-pudding your leftovers. nibs etc. original recipe. Makes one 12” x 9”/30 x 22cm rectangular baking tin. Place your rinsed berries into a bowl with the vanilla sugar, and set aside to macerate in its sugary juices for at least 30 minutes. Butter your tin. Cut your pastries into roughly 1inch cubes (I cut each into 6-8 pieces, and separated the pastries by type – covering the base of the pan with pain au chocolat, and topping the bread pudding with the raisin rolls). Into a separate mixing bowl, beat the eggs until frothy. Then gradually pour in the milk, whisking until all of it has been fully incorporated. Spread half the pastries on the bottom of your pan, pressing down into an even layer, making sure there are no cracks for the berries to fall through to the bottom of the pan. Top with macerated berries, making sure to distribute across the pastries. Carefully dollop your lemon curd, spreading as evenly as possible, over berries and pastries. Top with the remaining half of pastries, before slowly pouring over your egg mixture. Place in the fridge for at least 2 hours. Preheat your oven to 180*C/350*F.
Before placing your bread pudding into the oven, with the flat back of a spatula, press the pudding down into the dish, making sure the liquid doesn’t squirt over the sides, but enough to ensure that the liquid level comes up almost to the top of the dish – you don’t want the top layer of pastries to dry out/burn in the oven. Bake for 40-50 minutes until dark golden brown, a toothpick comes out more or less dry, and the pudding barely wobbles/jiggles. Remove from the oven and allow to cool for at least 30 minutes. Serve warm, or chill overnight and serve cool or at room temperature. For breakfast topped with greek yoghurt, afternoon tea with crème fraiche, dessert with custart or ice cream. Substitute pastries with any other sweetened/enriched dough or pastry, such as brioche, Danish pastry, babka. Replace berries with any other seasonal fruit: plums, nectarines, apples, rhubarbs. Try adding a dash of liquor to your fruit as they macerate with the sugar: rum, brandy, Cointreau.